For those of you that don't know Mass Effect 3 came out on March 6. Unfortunately I only found out about the Mass Effect 3 Datapad app about a week ago and got it downloaded a few days ago. 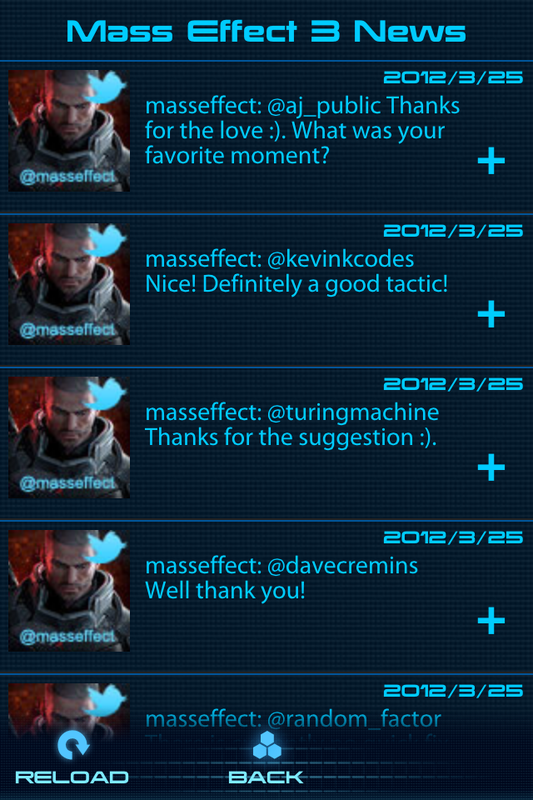 The most interesting thing about this app is that it actually affects your Mass Effect 3 game. The app consists of primarily five parts or sections. The five sections are Alliance News, Mail, Media, Galaxy At War, and Codex. There is also and EA More Games icon on the bottom left of the screen, a question mark on the bottom right, and a circular shape on the top right where you login with your Origin account. Just so everybody knows this is a completely free app so we're not trying to get you to buy anything. That being said I think that this is the greatest free app ever. 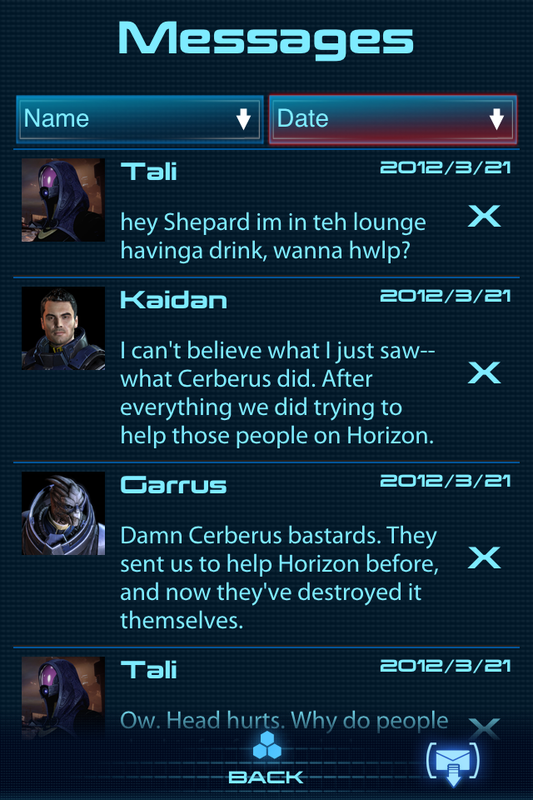 The Alliance News section is basically just the @MassEffect twitter feed. There is a plus symbol on the right side of each tweet that allows you to open it in twitter or Facebook to share it. The tweets usually consist of replies, feedback, and thanks to fans. Some of the tweets have links to BioWare, Mass Effect, and EA sites. This part of the app really doesn't have anything to do with the game but it gives you a good sense of community. 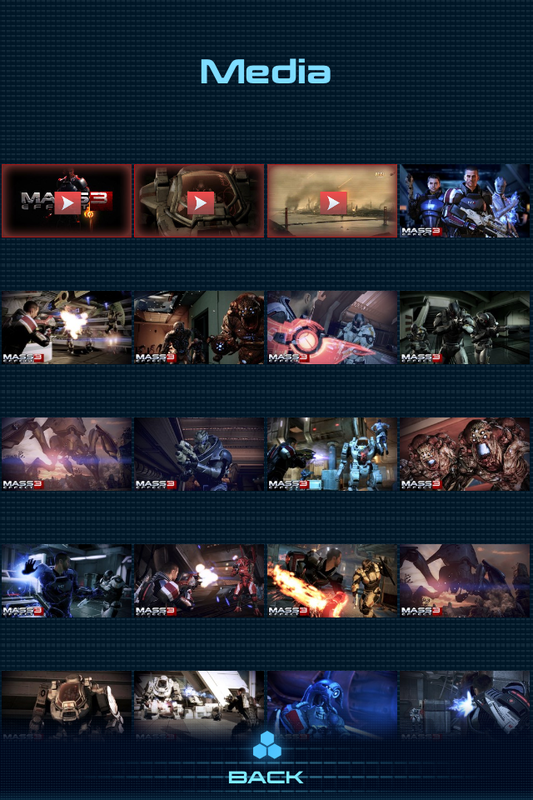 The media section is just pictures and trailers of the game. There's only 3 trailers and 9 pictures. I've found that the videos load very slowly. 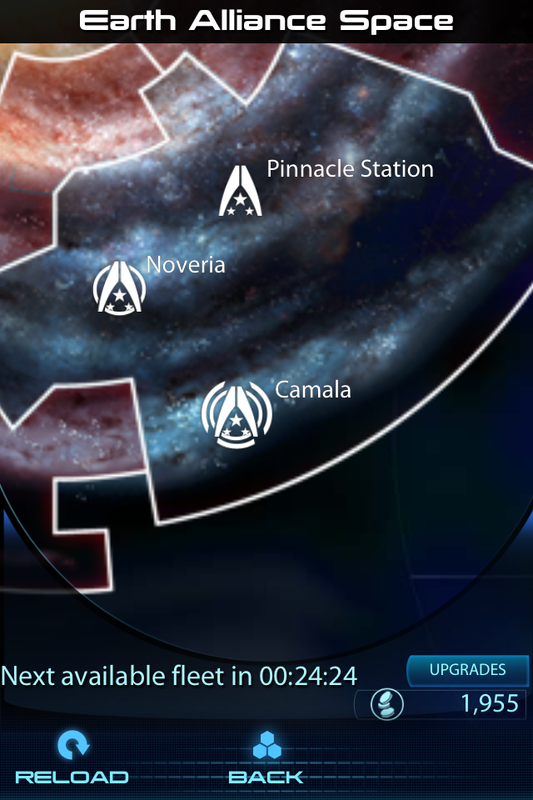 Even though it's cool to have these things so easily available to you they're not anything you can't easily access on the Mass Effect 3 Bioware site. They didn't really need to add this to the app but it is a nice little touch. 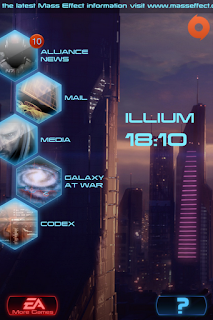 The Codex was a wonderful touch to the Mass Effect 3 Datapad. 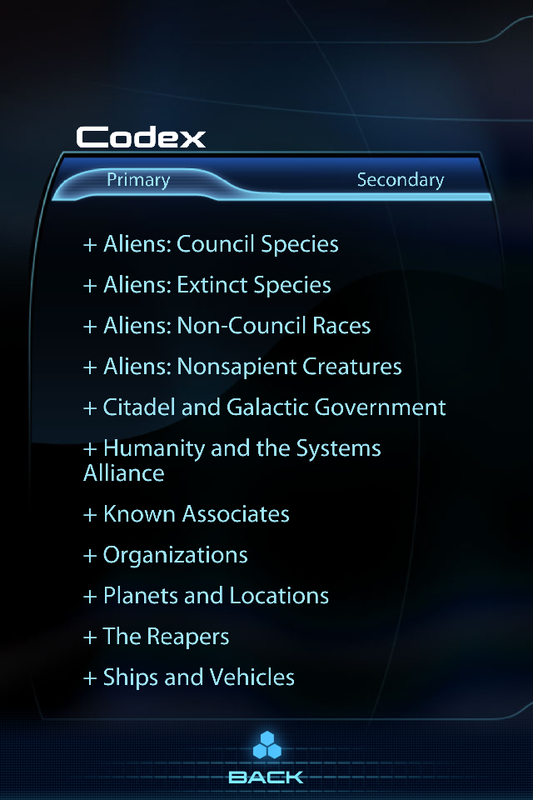 For those of you that haven't played Mass Effect the codex is where you can access any and all information. The codex includes information on aliens, planets, enemies, weapons, and more. Being that ME3 is so action packed and intense it doesn't feel pertinent to read your codex but now you can whenever you feel like it or have the free time. The coolest feature of the codex is that there is a symbol on the bottom right that when pressed narrates the text of the codex log you have selected. What makes this so cool is that the narrator sounds like the same narrator from the Crackdown down games. Now Asian Andrew is going to give us his thoughts on the Galaxy At War and Mail sections. 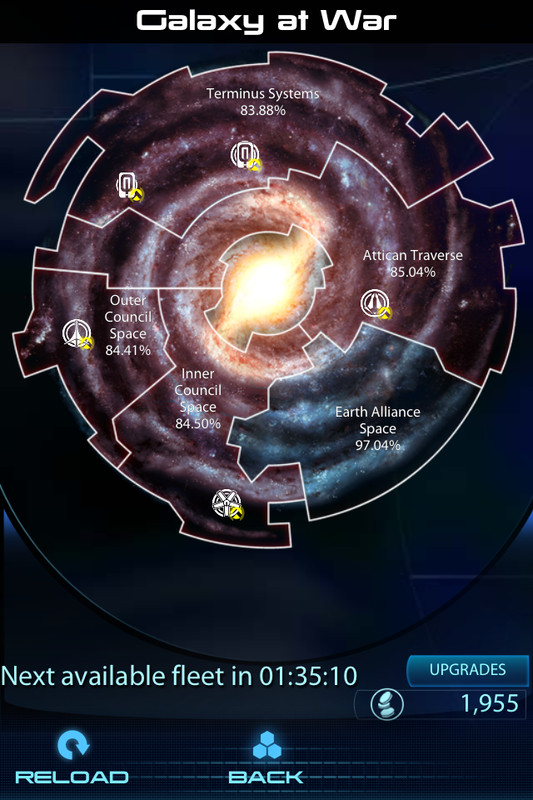 The galaxy at war mini game is one of the cooler features of this free Bioware/EA app. Since it is connected to your EA origins account when you do things in it, it actually affects your Mass Effect 3 profile. You send ships to key locations to up your readiness rating but it can take up to five hours for one percent depending on which mission you pick. There are three levels of missions each having different levels of pay out and time consumption. As you gain credits for completing these missions you can get more ships to send out, more rating points per mission about .5% more or shielding so you don't fail in the upgrades menu. It does crash a lot but it is overall pretty awesome to constantly keep your galactic rating in check. To be honest I don't really know how this works as I have only once received emails from my squad mates talking about past missions. You can't respond and it usually is only one liners so it just seems like a failed attempt to make a better connection to your crew. All in all I would have to say that this is a very unique and enjoyable app. I feel like this is one of the first great apps that actually effects, improves, and helps your overall game. The simple great menu set up works well and is easy to use. Each sections of the app has its strengths and weaknesses, some more than others. 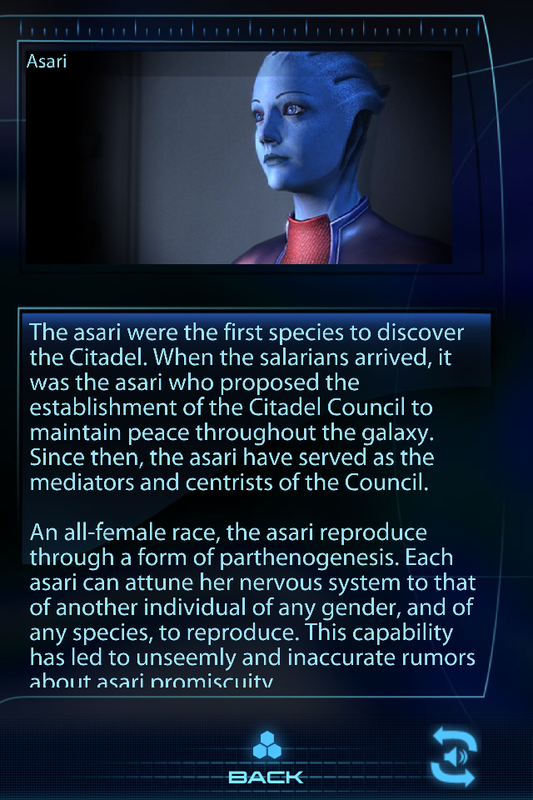 Just like the Mass Effect series this app shows its true uniqueness in the details. Both Andrew and I agree that this app deserves nothing less than to be the App of The Week and a MUST DOWNLOAD.